Shelley Miyamoto is a rising star in pediatric cardiology. A nationally and internationally recognized authority on pediatric cardiac transplantation and cardiomyopathy, much of her groundbreaking research focuses on the failing heart of children born with hypoplastic left heart syndrome, a severe form of congenital heart disease. 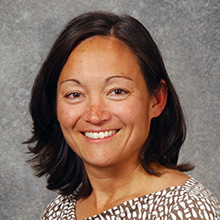 Miyamoto is currently conducting research on heart failure with two National Institutes of Health (NIH) Research Project (R01) grants; she has received continuous research funding since 2009. She is a popular invited speaker, grant reviewer for the NIH and American Heart Association, and a manuscript reviewer for several prominent peer-reviewed journals. Miyamoto is noted not only for her skills as a researcher and clinician, but also as a highly commended teacher and mentor. A native Iowan and longtime member of the Carver College of Medicine faculty, Bradley Van Voorhis is nationally recognized for his work to address infertility. 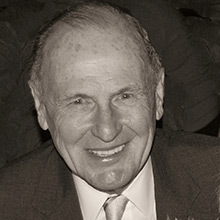 His research efforts to improve the safety of in vitro fertilization (IVF) through increased use of single embryo transfer (SET) has influenced infertility physicians worldwide. In 2003, Van Voorhis founded the University of Iowa Reproductive Endocrinology & Infertility Fellowship Program and directed this program for 12 years. He now serves as the executive vice chairman of the Department of Obstetrics and Gynecology, where he has been instrumental to the department’s recognition as one of the best programs in the country in 2018 by U.S. News & World Report. 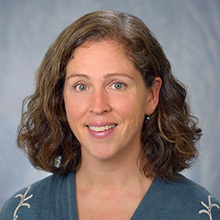 Originally from Iowa City, Katharine Bar is currently an Assistant Professor of Medicine and director of the Virology Core at the Penn Center for AIDS Research at the University of Pennsylvania in Philadelphia. Her research focuses on the basic mechanisms of transmission, pathogenesis, and persistence in HIV and other chronic viral infections. As part of a research team, Bar led a trial to explore the potential of a novel monoclonal antibody to suppress the AIDS virus in a group of patients taken off standard antiviral drugs. The results of this research, published with Bar as first author in the New England Journal of Medicine in November 2016, indicate that combinations of neutralizing antibodies may be needed for long-term control of the virus. Kathleen Digre is one of the premier neuro-ophthalmologists in the world. In 1999, Digre founded, and still directs, the Neuro-Ophthalmology Virtual Education Library (NOVEL) which houses the world’s definitive collection of neuro-ophthalmology education materials. She is currently Distinguished Professor of Neurology and Ophthalmology and Chief of the Division of Headache and Neuro-ophthalmology at the University of Utah School of Medicine, and Vice-Chair of Clinical Strategy in the Department of Neurology, University of Utah. 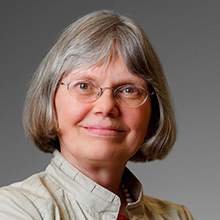 Digre has received the Rosenblatt Prize, the University of Utah’s highest faculty honor, in recognition of career excellence in research, education, and administration, and she holds an honorary doctorate from the University of Zurich. She is president of the American Headache Society. In 1968, there were only three burn treatment centers in the United States. Ed Hartford was a newly hired associate in surgery and was tasked with creating a fourth at the University of Iowa. 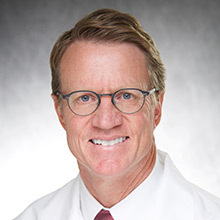 He ultimately directed the Burn Treatment Center at UI Hospitals & Clinics for seven years, and in the process created the multidisciplinary approach that now characterizes modern burn care. Hartford’s papers on the impact of high intensity stress on the human psyche formed the basis of what came to be known as PTSD. When Hartford left Iowa in 1977, the burn treatment center he founded was treating approximately 100-115 patients per year. The University of Iowa still has the state’s only American Burn Association-verified Burn Center, due Hartford’s indefatigable efforts. Awards will be presented Friday, April 26, 2019 in Iowa City. For more information, please contact UI Health Care Outreach and Engagement at 319-335-8886.